Is it possible to judge a truck’s true value? Price is a factor, but some of the costs come later. When the 2016 Toyota Tundra is compared to the 2016 Ram 1500, the numbers indicate that the Tundra is a better deal. See what you think. 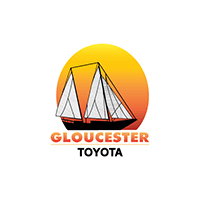 You are certainly invited to judge for yourself at Gloucester Toyota dealer serving Newport News VA. When comparing trucks with the short bed and double cab, the 2016 Toyota Tundra offers a better deal that grows with the years. The Tundra does cost a bit more at initial purchase, but that equation changes in a year’s time. At the point, the Ram is worth $1,786 less than the Tundra, making up for any discrepancies in initial cost. At three years, the gap grows to $3,282 in favor of the Tundra. By five years, there’s a $4,562 difference, again in favor of the Tundra. Durability, lower operating costs and a higher price at resale add up to big savings for Tundra drivers. Learn about Tundra pricing. Of course, money is important, but it is also important that the truck do its job. The Tundra has a bed that is one inch taller in every style and two inches longer in the long-bed style. Furthermore, the Tundra manages to maintain a tighter turning circle, saving 1.1 inches over the Ram. This is important when it comes to maneuvering in the yard, at a crowded parking lot, or on a worksite. You should be the judge. Take a look at the Tundra at Gloucester Toyota dealer serving Newport News VA.